A good measure on how much we like a product is if it features in a tutorial and then gets stolen from the office and put into our personal makeup bags. Sera G is one of those brands! Sera G are always launching new innovative lashes which provide the wearer with unique lash styles and shapes to enhance the eye. Sera G designs and hand makes her lashes in London and has recently sent us a selection of her newest creations. The Envy lashes are corner lashes however they can be placed more towards the centre of the eye if you prefer. They are 3mm-12mm in length and are graduated from short to long. The will add natural volume to the bulk of your lashes or accentuate the corners. The black band is flexible and soft for application ease. 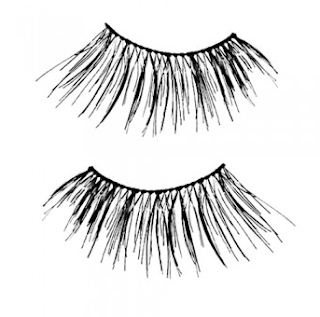 Lola-Long lashes consist of two chunks of lashes, one on the outer edge which is slightly larger than the other. The length is 4mm-12mm and has a clear band to help blend into your lash line easily. Position these towards the outer edge to add corner volume. 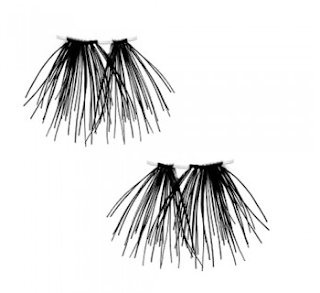 Similar to the Lola-Long lashes however they are more tapered, neater and create a more structured finish. These are 3mm-11mm long. 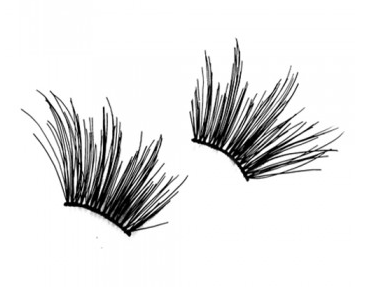 The inner lash is very slightly shorter than the outer lash. They can be positioned anywhere you need extra volume. 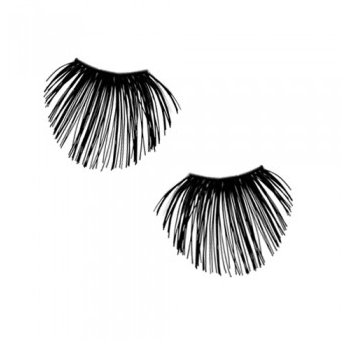 These are more of a strip style lash but are very delicate and light weight. They are 7mm-11mm long and give a soft, diffused look to the lashes. They are slightly more narrow than the standard length of lashes so they add all the volume in the centre of the eye. 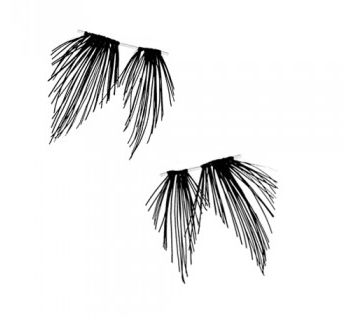 These partial lashes are in a unique rounded edged shape to lift and open the eye. They look best in the centre to give a unique, rounded shape to the eye. The band is black and the lashes are slightly stiffer and more compact giving a darker look to the lashes. These are 3mm-9mm in length and are £12.99 each. Congratulations to those in the U.S who can now legally marry. To celebrate this Sam has created a Rainbow liner tutorial. Ben Nye Banana powder has become some what of a cult product. I can't believe we have never reviewed it on the blog before! I'm sure it was popular well before Kim Kardashian's makeup artist Mario Dedivanovic used it in those extreme contour images however it's a product that's been going strong for quite a while and there seems to be no slow up in it's popularity. I have been informed by the ladies at Guru Makeup Emporium in London that there is a worldwide shortage! 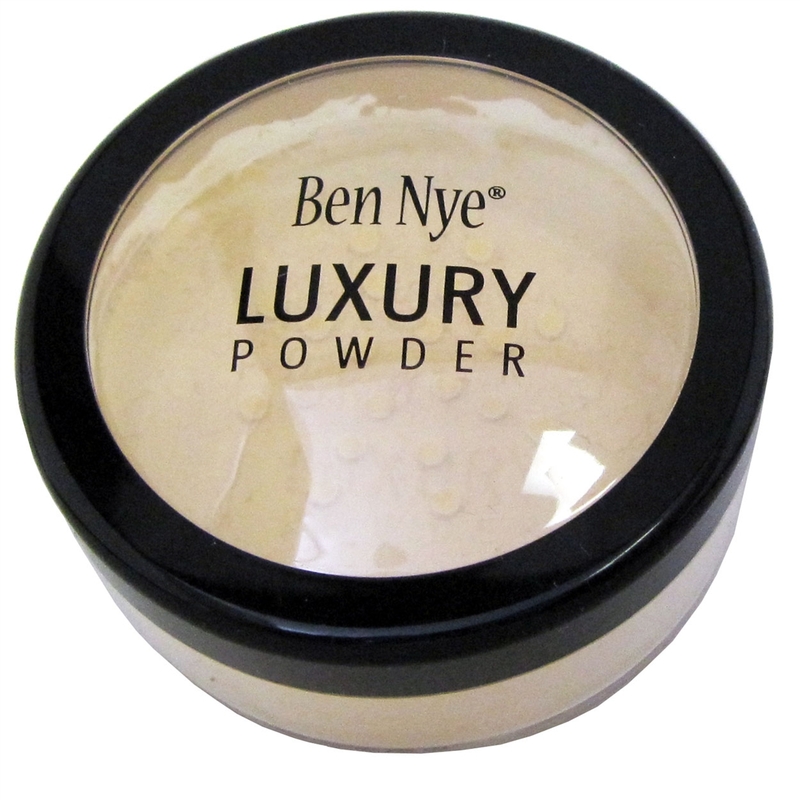 Banana is one particular shade in Ben Nye's line up of luxury powders. There are other shades available in the range however we are just focusing on this one colour for now. This powder is a super fine, talc based powder which mattifies the skin without casting a cakey powder veil over the skin. The banana powder is the most popular of all the luxury powders in the collection and as you may expect is a pale yellow shade. The yellow tone is so popular because it is a great colour to aid skin tone colour correction. 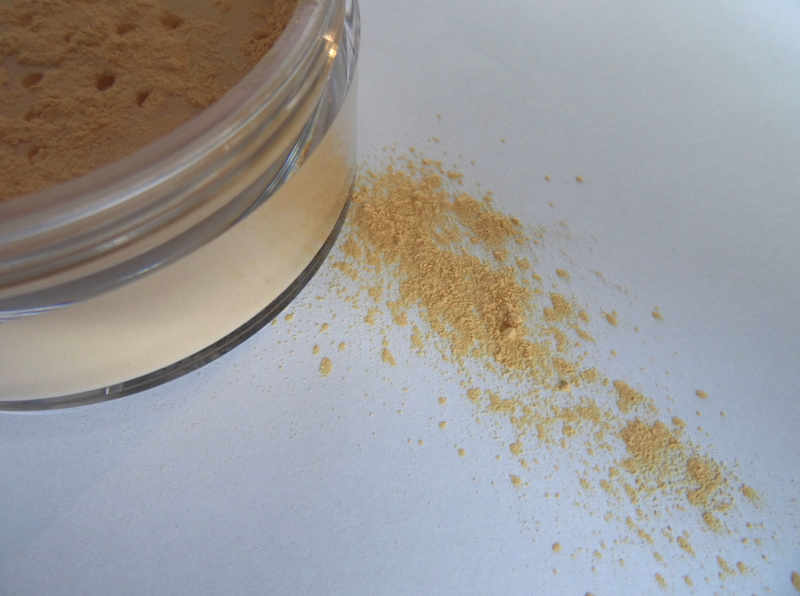 If you have dull, grey or purple tones around the under eyes this powder instantly brightens and (along with a concealer) helps to tone down the dark circles. It works not only around the eyes but also on a dull skin tone to pep up the brightness. Quite often people with dark circles will use a powder which is too white or light coloured under the eyes. This flashes back in photographs and gives that awful panda eye effect. Banana powder photographs well and rather than appearing white on camera it gives a more golden, warmer lightness. Being talc based it instantly absorbs oils and combats shine. Use sparingly though as too much of anything will build up and cake. It doesn't have a flat appearance on the skin but instead projects a slight radiance without being shimmery. The colour is pretty universal. It works on a fair through to medium skin tone and is particularly good as a lightening powder on a deeper skin tone (this is what Kim K uses it for). It was such an honour to interview Joan about her cosmetic line, beauty secrets and industry stories. We have seen a lot of new launches recently which have a metallic or chrome pay off. A trend we thought we had left in the 1980's seems to be back with a vengeance! Models Own recently delivered a collection of molten metal nail polishes and to compliment this trend you can also now have a liquid metal eye look. 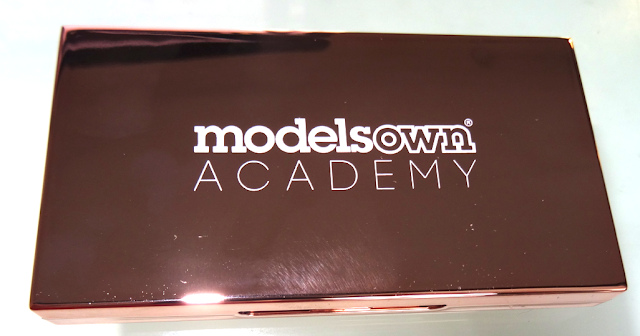 Housed in a rose gold mirrored compact with sponge applicator. 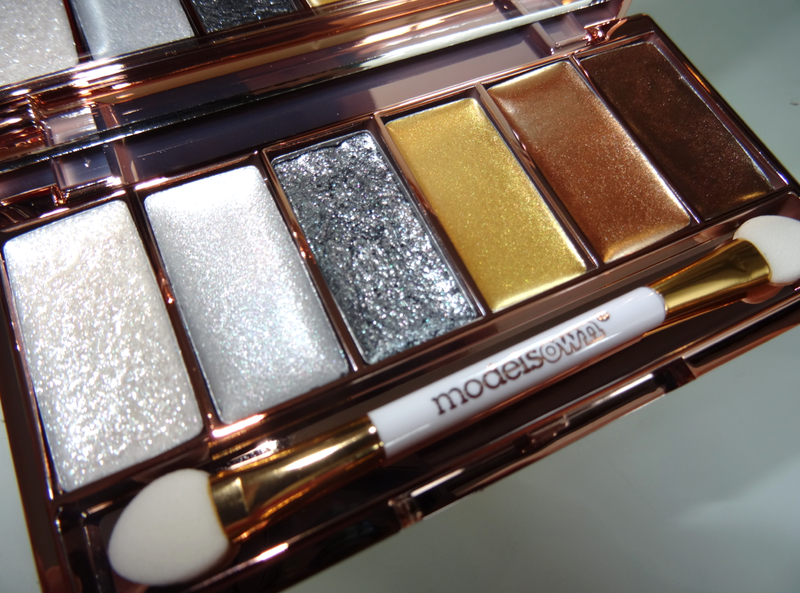 The palette contains six cream eye shadows which have a smooth texture and high sheen pigment. Each shade provides a shimmer reflection and good colour pay off. Easy to apply and easy to blend over the eye. Could also be used as a highlighter on the skin if required. A sheer wash is all you need for a high impact of colour however you can layer and build the shade to add to the tone depth. Use too much product and it will settle and crease but used sparingly and blended you can achieve good longevity. The great thing about this product is if you wear a wash of colour over the lid it's super easy to run your finger over the cream to re-blend and smooth out any creasing. Great if you are a fan of a grunge style eye. These look beautiful worn on their own however they also make an excellent base for your powder eye shadow. 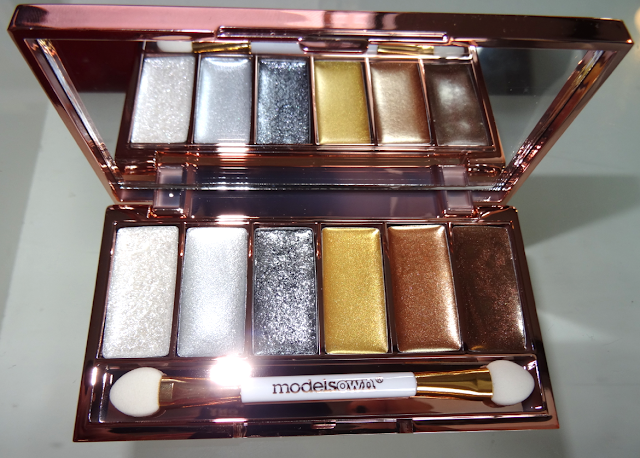 Used underneath a powder they will give a metallic undertone to any eye shadow worn on top. We are not a fan of the sponge applicator and would prefer to use our ring finger to apply to the lid if you don't have a good synthetic brush to use. A good mixture of silvers through to grey and gold through to bronze. Shades will suit all skin tones however it has a stronger impact and looks particularly beautiful on a deeper skin tone. Available from July 1st 2015 from www.modelsownit.com for a bargain £5.99. We have recently had our pixiwoo course running and we thought one of our students called H had a resemblance to Kendal Jenner. As Estee Lauder recently launched their Bronze Goddess range (which Kendal fronts) we thought we could create a tutorial using our gorgeous student H.
There is something about mini products that are just so adorable. You can't help but love them! 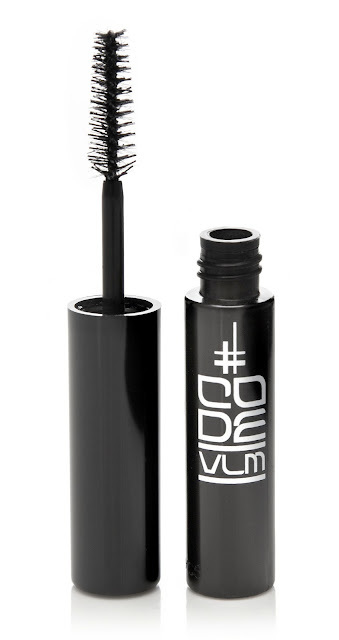 We recently discovered another great mini mascara made by Code VLM. It's exactly the same as their standard volumising and lengthening mascara but in a miniature version. This mascara is 3.5ml and is a rich, glossy black mascara infused with tiny fibres to build volume. The brush is a hard bristle brush which gives great separation. The brush is slightly bigger than that of the MAC Extended play so it is great for top and bottom lashes. The mini wand though is perfect for bottom lashes. If you always get mascara on your skin or struggle with your eye sight then this smaller brush makes life a little easier! Paraben free and packed with waxes and vitamins to aid lash growth. This mascara isn't waterproof but it is tear proof so you can actually remove it with ease using your normal eye makeup remover. The latest lipsticks from Kiko are part of the Miami Beach babe collection. Available now (June) the lipsticks have a moisturising wet-look finish and are adorned with contrasting polka dots. Colour is sheer, glossy and extremely comfortable on the lips. Good selection of fruity summer shades. The polka dots are pretty much for aesthetic reasons however they do transfer the colour of the dot onto the lip to give you a slight reflective sheen in a contrasting colour. You have to swipe the side of the lipstick on the lip though to get the colour from the polka dot as it will take you ages to wear down the bullet to reach the coloured dot. Gorgeous colour selection, there isn't one shade we don't like or wouldn't wear. If you have combination or oily skin you know what a battle it can be to maintain the balance between radiant skin and an oily sheen. If your skin is combination or oily the the best place to begin to control this is always your skin care. Ensure you are using the correct skin care regime and this will go along way in helping you to balance out the oily areas. New products are always being launched to combat the shine and Benefit have just added to the line up by releasing their License to blot, instant oil blotting stick. A twist up, triangular shaped stick which is designed to be gently stroked over the skin to combat shine on the skin. It contains a mixture of coconut/palm fatty acids which leave a balmy, silky film over the skin. Nylon is used as a synthetic polymer to act as an absorbent. Also contains a number of waxes and silica to absorb the excess oil from the surface of the skin. For us, the jury is out on this one. The triangle shaped, slanted stick is really easy to use. The shape enables you to reach all of the corners and contours of the face. If you use this on bare skin, or skin which has minimal areas of cover from a concealer then this works. It does matte you down and take away the shine, leaving your skin feeling soft and matte. If you want to wear it on top of a foundation or powder then we personally don't think it works. 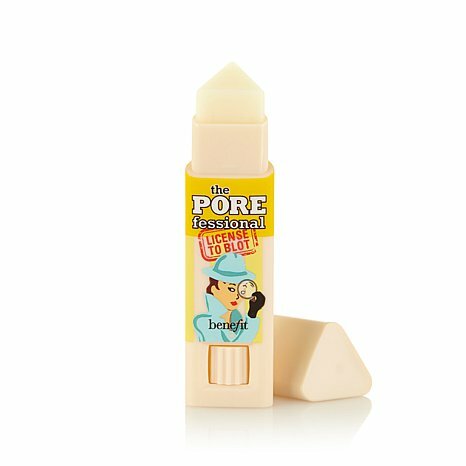 Benefit do state it is to be used lightly over the skin however even with the most delicate touch this does disturb your makeup underneath. After using over the T-Zone my base transferred onto the stick which left my base looking patchy and uneven. It also didn't feel very hygienic as it left the stick looking particularly grubby! The left over foundation residue doesn't make this the most hygienic of blotting methods so you will need to clean it with a tissue after each use. We also think if you suffer from problematic skin or acne then avoid this product. It's so easy to spread bacteria around the face and aggravate your skin further. Overall if you wear hardly any base and just want to take down the shine then it's great and it works. If you want to touch up your makeup with this and remove shine from skin which has makeup already applied to it then it's not what we would recommend. Stick to your blotting sheets. We would love to hear what you think of this product if you have tried it. She also has different colour eyes which makes this tutorial a little more unique.